The Jejunum is the middle portion of the small intestine, connecting the duodenum and the ileum. It is partially responsible for absorbing nutrients into the bloodstream. It is lined with finger-like projections, that are called villi, that move nutrients, vitamins and minerals from the intestine into the bloodstream where they can be used by the entire body. 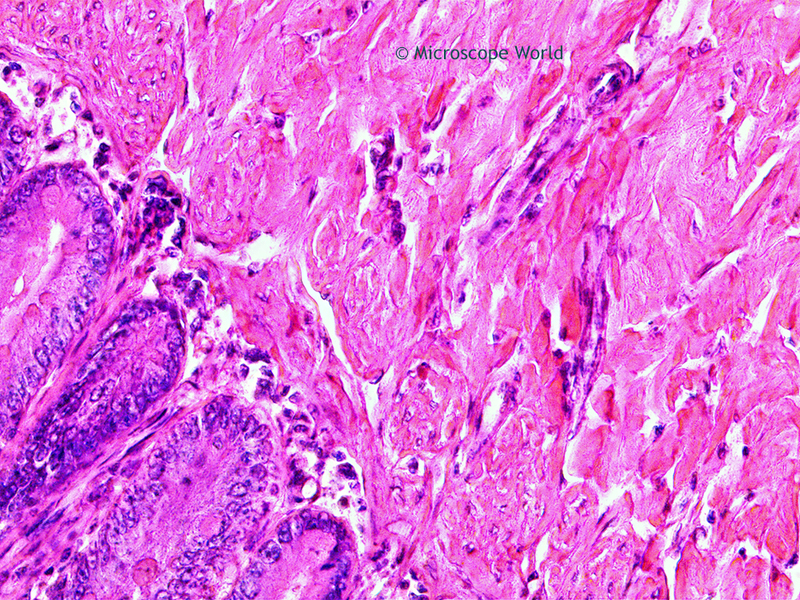 The images below were captured with the RB30 lab microscope using a high definition HD microscopy camera. Jejunum under the microscope at 40x. Jejunum under the microscope at 100x. 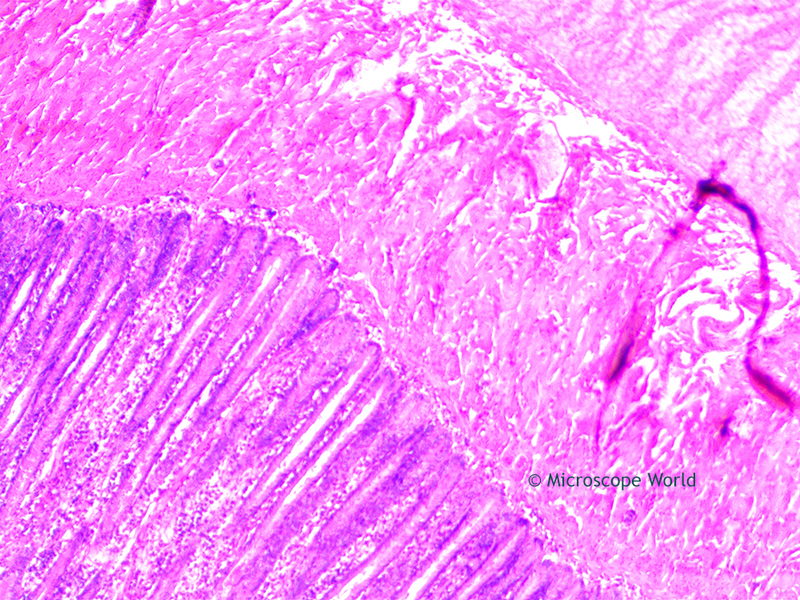 Jejunum under the microscope at 400x. 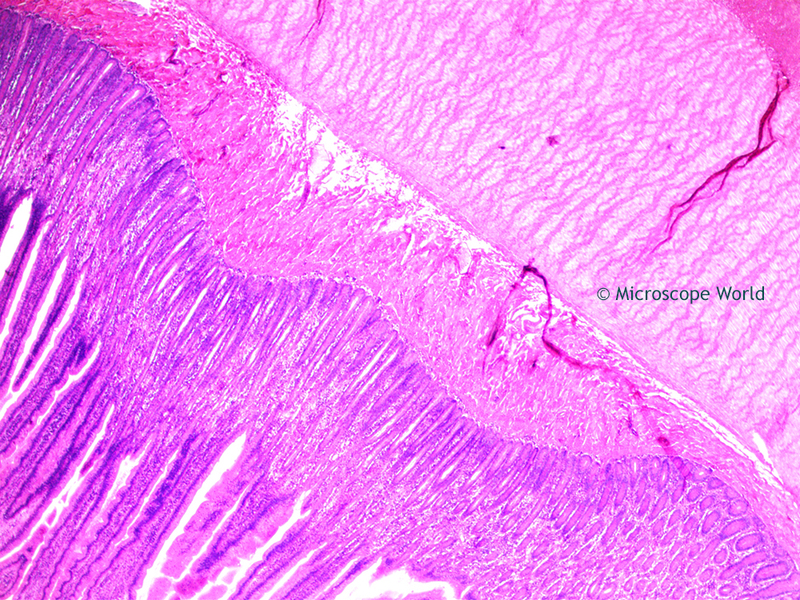 Contact Microscope World with questions about digital microscopy.